Rosé is the string of pearls of the wine world, that charming and effervescent drink that adds a touch of class and sophistication to any gathering. It's not all straight-laced, however. 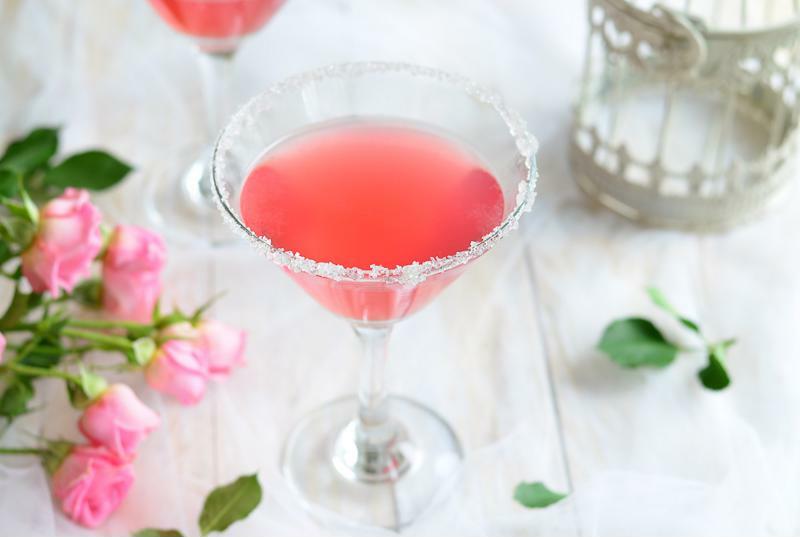 While chic and pretty, rosé also has its fun and playful side, especially when you do the unexpected and combine it with creative flavors and shaved ice in the Margaritaville® Frozen Concoction Maker®. Juicy watermelon and fresh mint flavor add a light sweetness to rosé in this smooth and thirst-quenching frozen drink. Add ice to the ice reservoir and all remaining ingredients to your Margaritaville® Frozen Concoction Maker®. Mix and pour into glasses. 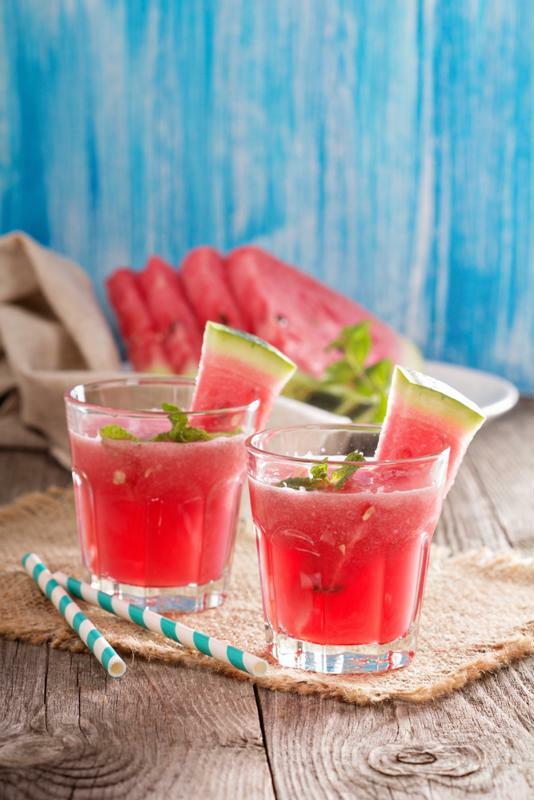 Garnish with watermelon slices and fresh mint sprigs and enjoy. This frozen concoction will quickly become your new favorite "pink" lemonade. It's so good, why ever drink lemonade any other way again? Add ice to the ice reservoir and all remaining ingredients to your Margaritaville® Frozen Concoction Maker®. Mix and pour into glasses. Garnish with lemon slices and enjoy. Experience rosé in delicious new ways, like with watermelon and mint. While rosé blends with lemon beautifully, it's also downright delicious with lime. Swap out the rum for rosé and add ice for an intriguingly refreshing twist on the classic mojito. Add ice to the ice reservoir and all remaining ingredients to your Margaritaville® Frozen Concoction Maker®. Mix and pour into glasses. Garnish with fresh mint sprigs and enjoy. The sweet notes of strawberries, raspberries and rosé make for perfect flavor harmony. Add ice to the reservoir and all remaining ingredients to your Margaritaville® Frozen Concoction Maker®. Mix and pour into glasses. Garnish with strawberry halves and enjoy. Vodka and rosé? Yes please. Add some juicy pomegranate flavor and this pretty-as-a-picture frozen concoction will quickly become your new favorite. Add ice to the ice reservoir and all remaining ingredients to your Margaritaville® Frozen Concoction Maker®. Mix and pour into glasses. Sprinkle pomegranate seeds on top of concoction and enjoy. Pair rosé with delicate fruit flavors for a sophisticated drink perfect for any chic gathering. Need a show-stopping batch of something delicious for a party? Make this frozen rosé sangria. It's light, flavorful, fruity and fresh - just the drink for good times. Swap out orange juice, which is traditionally used in red-wine sangrias, for grapefruit juice, which adds a more delicate citrus flavor that pairs nicely with rosé. Add ice to the ice reservoir and all remaining ingredients to your Margaritaville® Frozen Concoction Maker®. Mix and pour into glasses. Garnish with strawberry halves and apple slices and enjoy. Peaches' juicy sweetness and slight tang pair perfectly with the refreshing and cool flavors of cucumber for a bubbly and sophisticated frosé concoction. Add ice to the ice reservoir and all remaining ingredients to your Margaritaville® Frozen Concoction Maker®. Mix and pour into glasses. Garnish with peach slices and cucumber spears and enjoy.